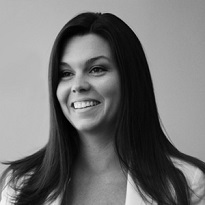 An accredited public relations veteran, Jessi Blakley has been developing integrated communications strategies and strategic planning across the Tavistock Group portfolio of companies for more than a decade. She has helped position the Impact Forum among the nation’s leading healthcare innovation events and has been an integral team member in the development and growth of the Lake Nona Institute and Lake Nona Impact Forum since its inception. Blakely graduated with a B.A. in Communications and Public Relations from Auburn University.